This one is definitely different and in a good way. It starts with a wine-like aroma; juniper, mingled with dark cherry, orange, and plum. That aromatic complexity carries into the palate with a slight tartness that accentuates those fruity esters. There's a bedrock of toasty malt underneath it all (they used Ashburne Mild Malt for the base), but the star here is the dry, wine-like complexity that makes the beer light on the palate and quaffable. This was fermented with Kveik, a Norwegian farmhouse yeast. We haven't had many Kveik fermented beers appear in Oshkosh. This beer is an excellent point of entry if you're curious to see what this yeast can do. 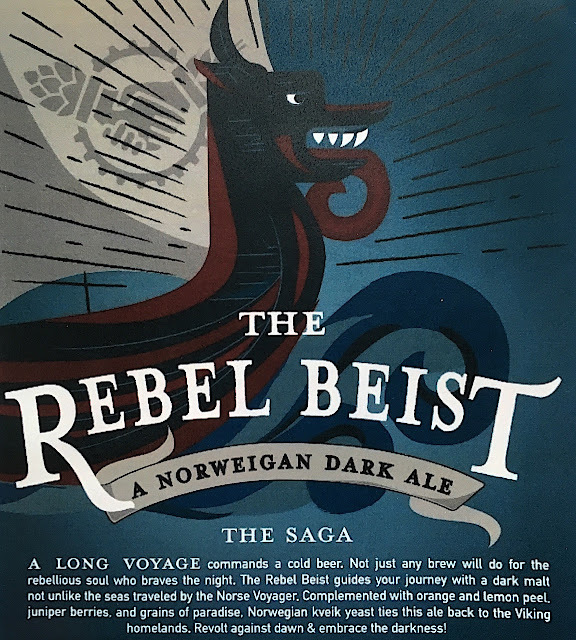 Rebel Beist is 8% ABV and just right for warming you during this sloppy freeze we're locked in. 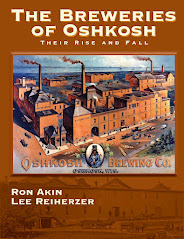 Rebel Beist was brought here by Oshkosh-area homebrewer Tim Pfeister. Last fall, Pfeister enrolled in the Milwaukee Barley to Barrel program, a 10-week crash course in what it takes to launch a brewery. Part of that program entails seeing a beer through from recipe formulation to marketing and sales. Rebel Beist, which was produced at Gathering Place Brewing in Milwaukee, is the result of that effort. The Barley to Barrel 2018 fall class. Pfeister is in the middle with plaid shirt and holding a flyer. "I was on Team Gathering Place," Pfeister says. "We all generally agreed on a belly-warmer being a good beer to bring to market for winter. 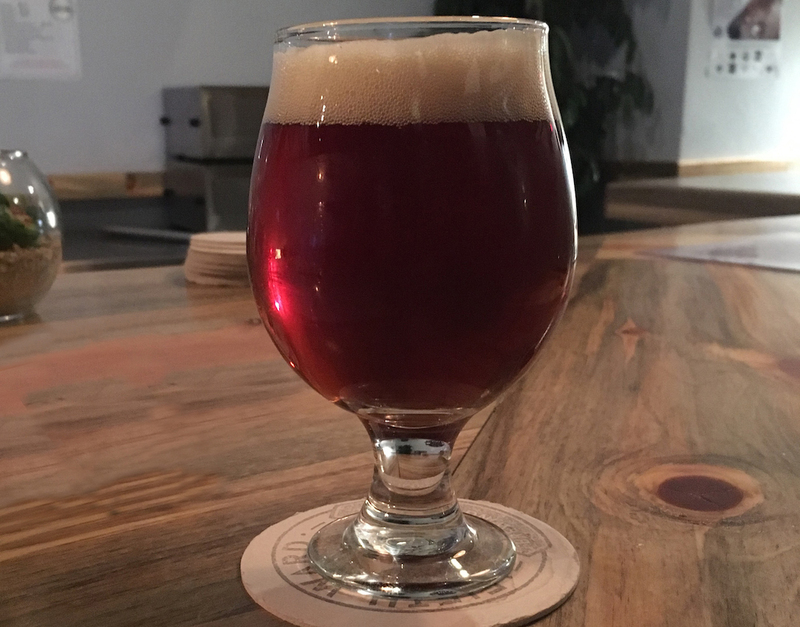 Corey Blodgett, the head brewer for Gathering Place, started talking about how they're using this new strain of yeast, Kviek, and that's when the whole thing got tied together into a Norwegian dark ale." 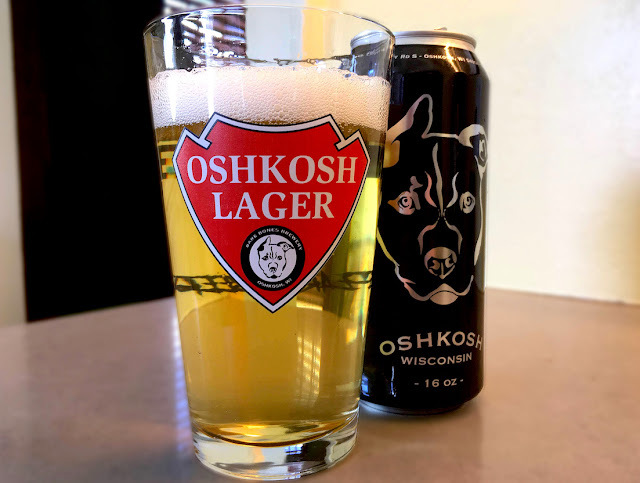 When the beer was completed, Pfeister reached out to some of his local friends in the Oshkosh beer community. "That's when I contacted Jody and Zach and Ian (Jody Cleveland, head brewer at Bare Bones; and Zach Clark and Ian Wenger, of Fifth Ward). They each committed to purchasing a keg and I purchased a keg of my own. I put the kids in the van, drove down to Milwaukee, and muled it on back to Oshkosh. And I feel pretty good about doing such." He should. And it's always good seeing local brewers – homebrewers and pro-brewers – supporting one another. Skål! In the spring of 2015, Alex Wenzel was busy planning the brewery he would open later that year in Neenah. 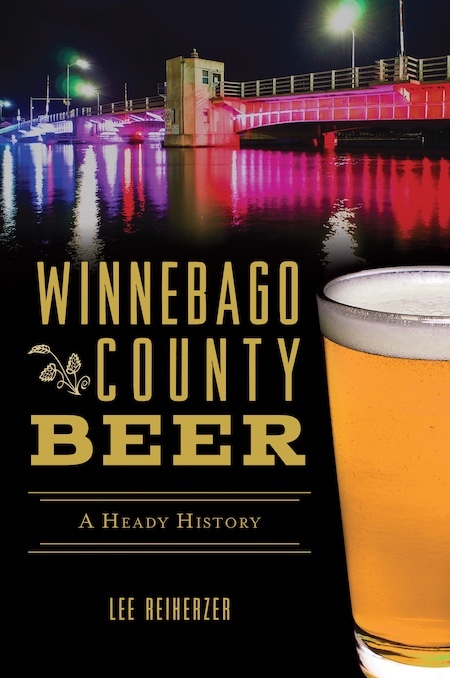 At the time, there had never been a brewery in Winnebago County like the one Wenzel had in mind. 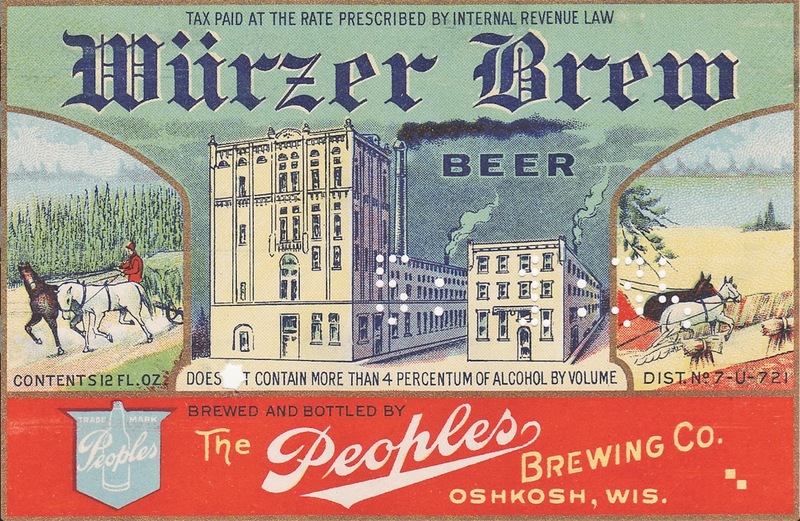 Unlike the recently established breweries in the area, Wenzel's wouldn't be attached to a restaurant. There'd be no flagship brand or fixed set of beers. There would be no reliance on outside distribution or retail sales. If you wanted Wenzel's beer, you were going to have to come to his brewery. Alex Wenzel in the taproom at Lion's Tail Brewing. "I'd seen this taproom model work in other places and loved it," Wenzel says. "You go and you try different beers and that's it, that's what it's about. We knew we'd have to have really good beer and always be offering different experiences because we wouldn't have a restaurant as a draw. And it couldn't be a stable of four to six beers that we always have. We'd need to do twelve to twenty new beers every year to continue to be interesting and give people reasons to come back." 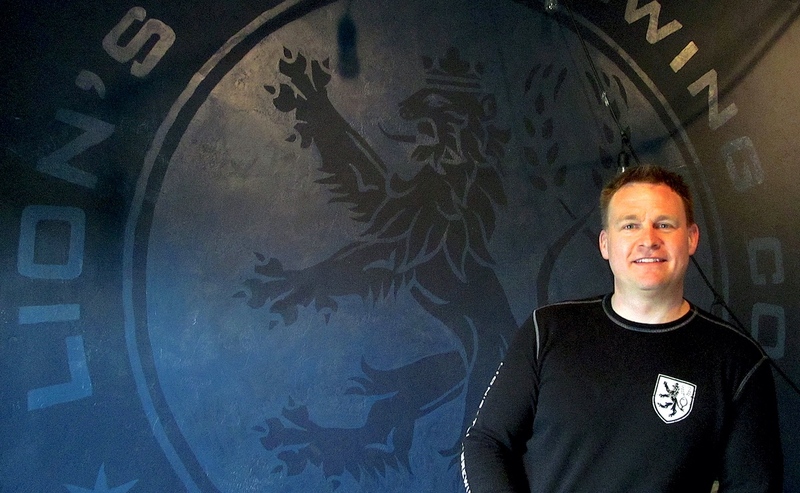 When Lion's Tail Brewing opened in November 2015, Wenzel was still trying to figure out how he'd make it all work. "The plan was to continually create new beers," he says, "but did I have any idea what that would mean? No chance." Wenzel made it up as he went along. During the brewery's first full year, he made 19 different beers. "We had a few that stayed on all year, he says, "but the rest continually changed." It was a scattershot list of familiar styles. There was a Pilsner, a dark lager, a fruited wheat beer, a couple of IPAs and pale ales, a stout... It looked like the kind of thing a homebrewer might do. That was no coincidence. "I started homebrewing three or four years before we opened," he says. "During that whole time, I was trying new things and constantly experimenting. I figured that course would continue once the brewery opened. I wanted to maintain the spirit of a homebrewer as a professional." But now instead of five-gallons at a time, he was brewing 310-gallon batches. The inevitable mistakes would be far more costly. Wenzel had readied himself for it. "It is scary, but I'm not afraid to send beer to the waste treatment plant if I have to and we've done a fair amount of that," he says. "If you don't get what you want and you're not proud of it, then it can't go on tap." Wenzel in the brewhouse at Lion's Tail. 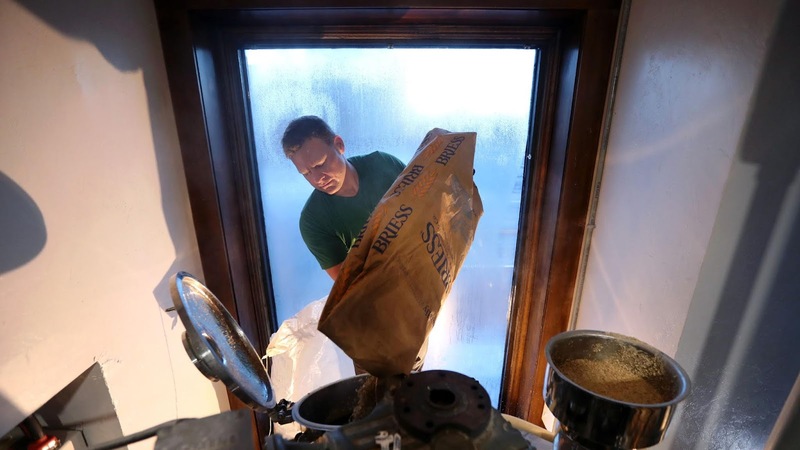 To mitigate the risk, he began relying on smaller, pilot batches to work up his new beers. "I got a little, 10-gallon system that I try to get the recipes dialed in on before I throw it on the 10-barrel," Wenzel says. Not all of them make it. "I usually don't tell people about the really horrible failures," he says and laughs. "There's some fun stuff I've tried, but a lot of beer has gone down the drain." He'll often brew a recipe as many as five times on the smaller system, tweaking it as he goes, before it's ready for his 10-barrel brewhouse. "The most extreme example was Juice Cloud, our New England IPA," Wenzel says. "That one took 13 different batches from when I started." The effort paid. Juice Cloud has become one of those rare beers that alters the trajectory of a brewery. Today, it's hard to envision Lion's Tail without Juice Cloud. To a certain extent, it defines the brewery. A glass of Juice Cloud on the bar in the taproom at Lion’s Tail. Juice Cloud was first released in August 2017 for the inaugural Wisconsin IPA Fest in Milwaukee. It was the only New England Style IPA entered that year. "I think we turned some heads down there with it," Wenzel says. "Hardly anybody in Wisconsin was making New Englands yet." At the time, the style was polarizing. The beer's dense haze and low bitterness set it apart from what had come to be expected from an IPA. "The judges didn't like it," Wenzel says. "It didn't even make it out of the first round." But festival attendees loved it. Juice Cloud won the award for being the first keg to kick. A month later, Juice Cloud went on tap at Lion's Tail. 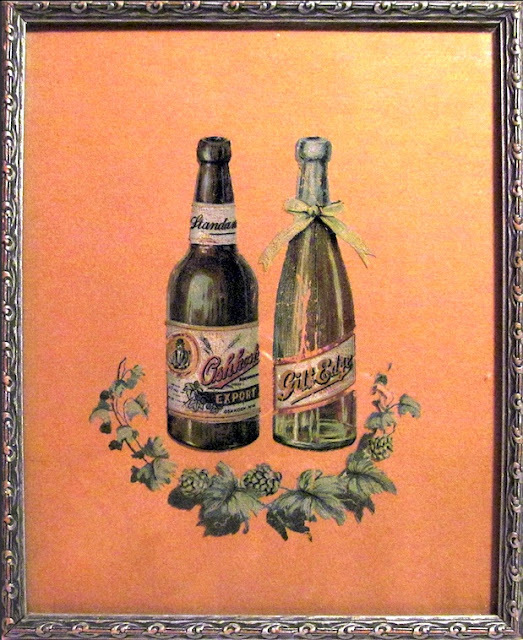 It soon became the brewery's best selling beer. "That was a noticeable bump," Wenzel says. 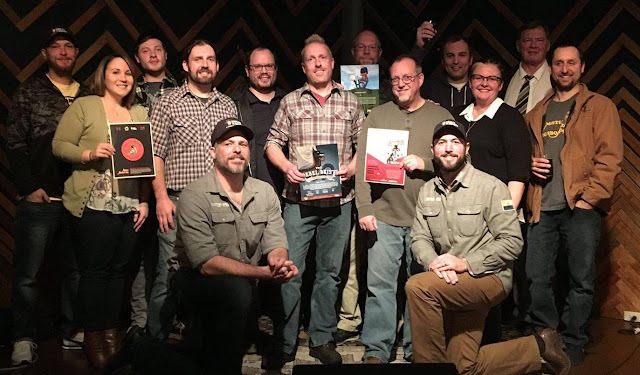 "We ended up getting blurbs in OnMilwaukee magazine and some other beer blogs and then we won a People's Choice Award with it at Hops and Props last year. Its really helped put us on the map in the state beer scene." The success of Juice Cloud led Wenzel to make a series of hazy IPAs using an array of American hops and sometimes adjuncts like lactose or vanilla. Each new release seemed to generate a buzz. 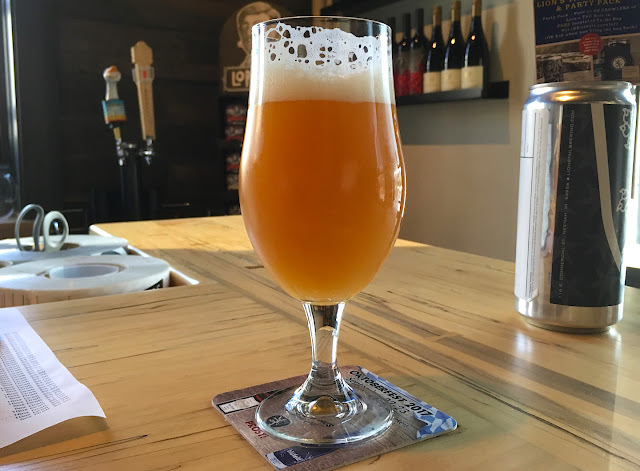 At the end of 2017, Lion's Tail was still the only brewery in Winnebago County to have released a New England Style IPA. The style helped set Lion’s Tail apart and became an essential feature of the brewery’s identity. It wasn't all hazy. In 2017, Lion's Tail released 20 different beers, six of them were barrel aged, and about half employed flavoring adjuncts in a variety of forms including blackberry tea, blood orange, blueberries, and pineapple. 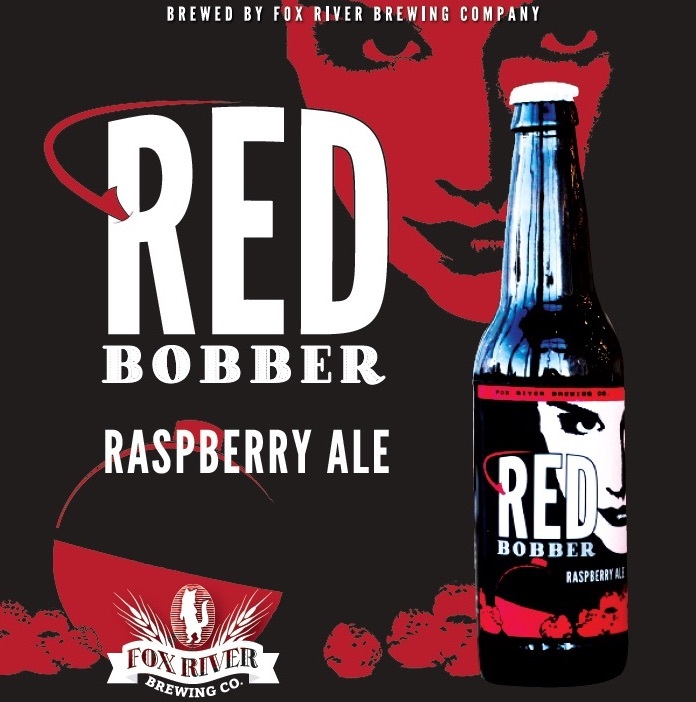 And then there was Number 90 Red, a straight-up Vienna lager that became surprisingly successful. It grew into one of Lion's Tail's best-selling beers despite it going against the grain of what the brewery was becoming best known for. A 20-barrel fermentor about to be squeezed through a window at Lion's Tail. 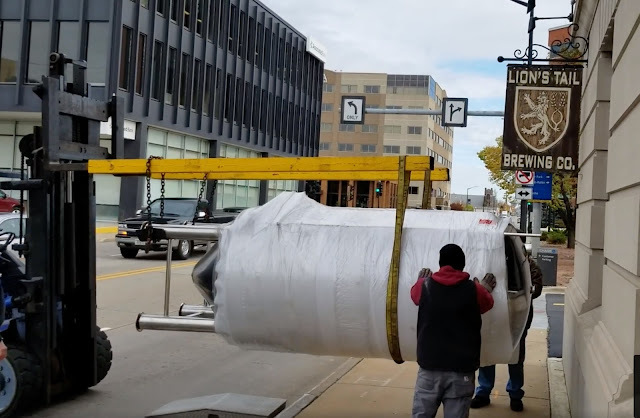 In October 2018, Wenzel added a 20-barrel, double-batch fermentor to his brewery. Even with that, he'll soon be running up against the limits of his brewery. His target for 2019 is to produce about 750 barrels of beer, which is near the brewery's total capacity. There's little room left within his current space for further expansion. "We would either have to expand within the building somewhere or maybe have an off-site production facility," Wenzel says. "But I don't want to grow for the sake of growing or to put out numbers. 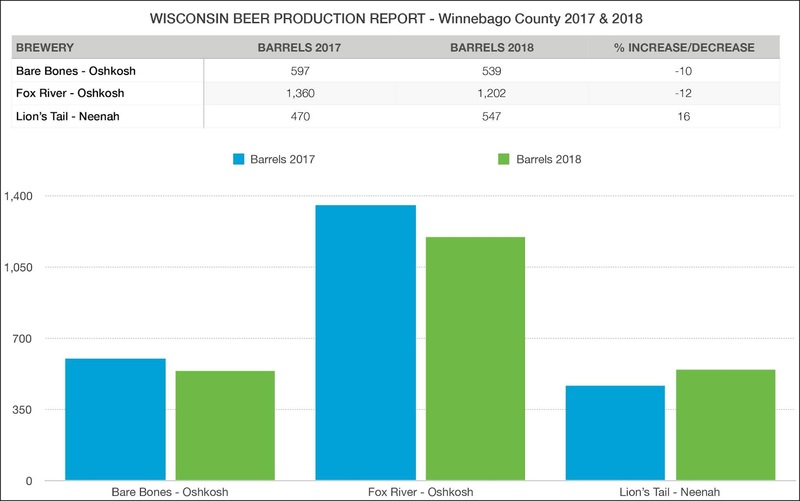 I don't see us making 3,000 barrels a year. I just don't think that will be our model, but who knows. I won't say never." The great majority of Lion's Tail beer continues to be sold over the bar in the brewery's taproom. 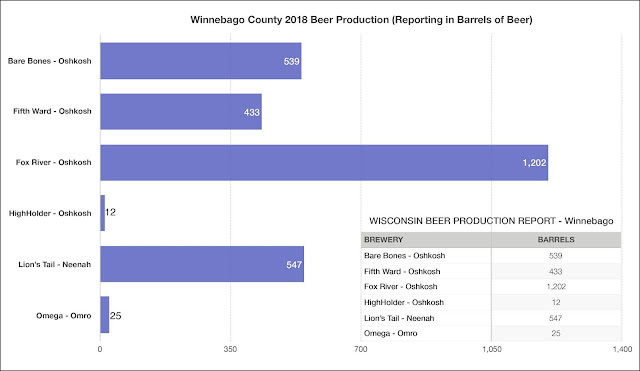 But increasingly Wenzel's beer finds its way into area restaurants and craft-beer bars in Milwaukee and Madison. 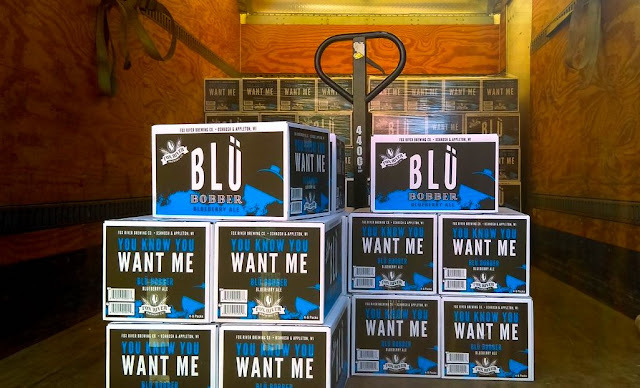 The distribution is handled entirely by Wenzel and Eric Henzel, who became the brewery's general manager in 2017. "I like doing our own distribution," says Wenzel. "You meet the customers and you're out making those relationships. That feels right to me." He'd still rather be selling the beer over his own bar. "Here, we get to serve our beer how we think it should be served," he says. "The more successful small breweries don't distribute a lot. They sell most of it themselves. It's almost impossible to compete at the retail level and maybe you shouldn't want to. There are so many reasons to try and keep it in-house as much as possible." Last year, Lion's Tail again produced another 20 beers that the brewery hadn't offered before. Wenzel doesn't show any signs of creative burnout. "I like working on new things," he says. 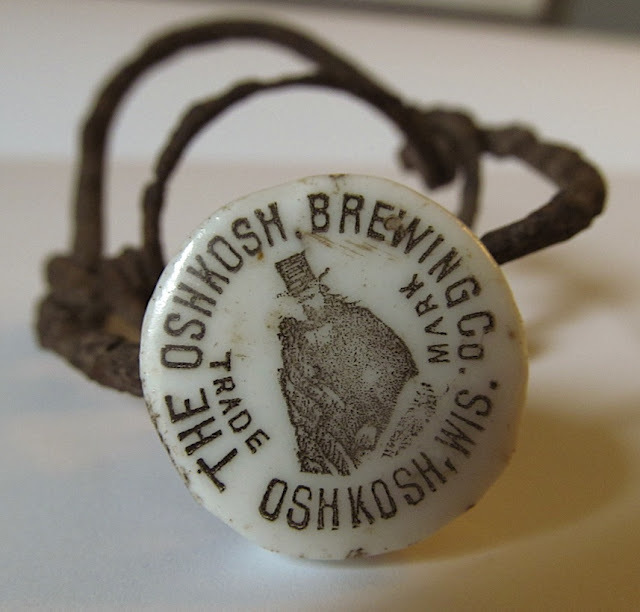 "As a brewer, it's not as fun being shackled to a certain beer. If we ever got to a point where we had seven or eight beers that we always had to have on tap, that I think would be more of a burnout to me. I mean, just the amount of commercially available malts, hops, and yeast... Each year there's another five or ten experimental hop varieties that come out. The possibilities are unlimited." The constant experimentation makes for an evergreen brewery. But now in its fourth year, Lion's Tail isn't the only Winnebago County brewery taking such an approach. Since Lion's Tail opened, five more breweries have been launched within the county and another in nearby Appleton. All of them were started by homebrewers. Most of them adhere to a taproom model similar to Wenzel's. He’s not exactly sure yet what to make of that. "There's a lot of new local breweries, but it doesn't seem like the customer base has grown a ton," Wenzel says. "When you go to a beer event, you see largely the same population at each of the different places. It has to be growing some. That's the hope with having new competitors that, in the long run, it expands the customer base. We've seen nice steady growth, so things have to be growing somewhat." Back in 2015, Alex Wenzel had a plan for a new kind of brewery in Winnebago County. That type of brewery has since become the norm here. 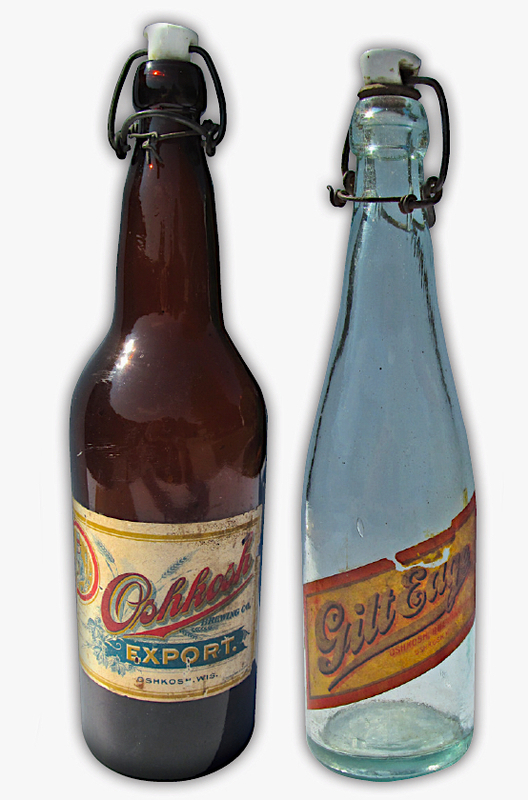 In a local brewing culture that now spans 170 years, there's never been a transformation come so swiftly. It all happened so quickly that it's difficult to fully appreciate how sweeping the change has been. 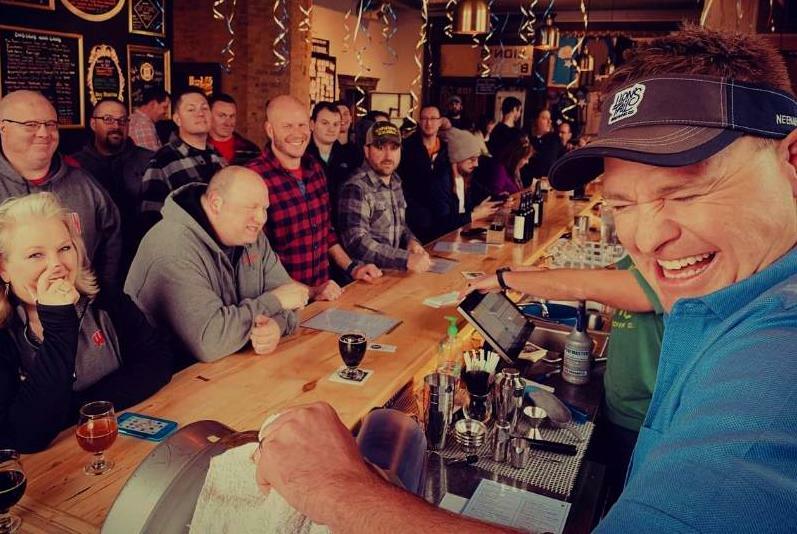 Wenzel tapping a firkin at Lion's Tail's third-anniversary party.